Lenore Croudy was born March 30, 1935. She studied Education at West Virginia State College and earned a Master of Arts Degree from Eastern Michigan University. For over 40 years, Mrs. Croudy was employed by Flint Community Schools in several positions including Teacher, Instructional Specialist, Assistant Dean, and District Coordinator of Language Arts and Humanities. She served on the Mott Community College Board of Trustees for over 25 years. She also served on the Board of Directors for the National and Central Region Association of Community College Trustees. Lenore Croudy was the recipient of numerous honors and awards. She passed on January 19, 2017. Dolores Clotiel Watkins Ennis was born November 17, 1929. She graduated as valedictorian of Detroit Southeastern High School's 1947 class and earned both her bachelor’s and master’s degrees from the University of Michigan-Ann Arbor. Mrs. Ennis was the first African American secondary teacher in Flint Community Schools, where she served for over 40 years. She matriculated as a Principal of Instruction, Deputy Principal, and the Regional Coordinator of Middle School Educators. Mrs. Ennis was affiliated with a variety of organizations, and she served on multiple advisory boards, including that of the Ruth Mott Foundation, Hurley Board of Managers, Community Foundation of Greater Flint, and Friends of the Flint Public Library. Dolores Watkins Ennis is a charter member and served as the first president of the Flint Alumnae Chapter of Delta Sigma Theta Sorority, Inc. She passed on January 25, 2018. Vivian Noble Grice was born May 27, 1931. She attended Southern Christian Institute, graduated from Southern University, and earned a master's in counseling from Michigan State University. Mrs. Grice spent over 26 years educating in Flint Community Schools. She was first a business teacher and later, a counselor. 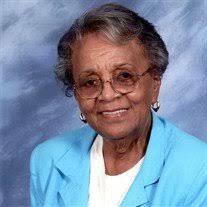 Vivian Grice was an active contributor to a multitude of community organizations including the Urban League, Jack & Jill, Friends of the Flint Public Library, Flint Junior Golf Club, and the Flint Area Chapter LINKs Inc. She passed on July 8, 2017.